As I've mentioned before, I've taken up knitting after an absence of about thirty years. For some unknown reason I'm finding it more relaxing than needlepoint, although it does seem to go much slower (which is one of the reasons why I gave it up so long ago). As I sit and stitch and watch things like "The Inspector Lynley Mysteries" or "Castle" or "Midsomer Murders," it occurs to me that I probably bear some strange resemblance to Miss Marple. It's going to be an afghan. Honest! It's a likeness that I'm not sure I'm ready for. Certainly I've had the requisite white hair for quite a while now, and the resemblance grows stronger since I'll be eligible for those nice little senior citizen discounts tomorrow. 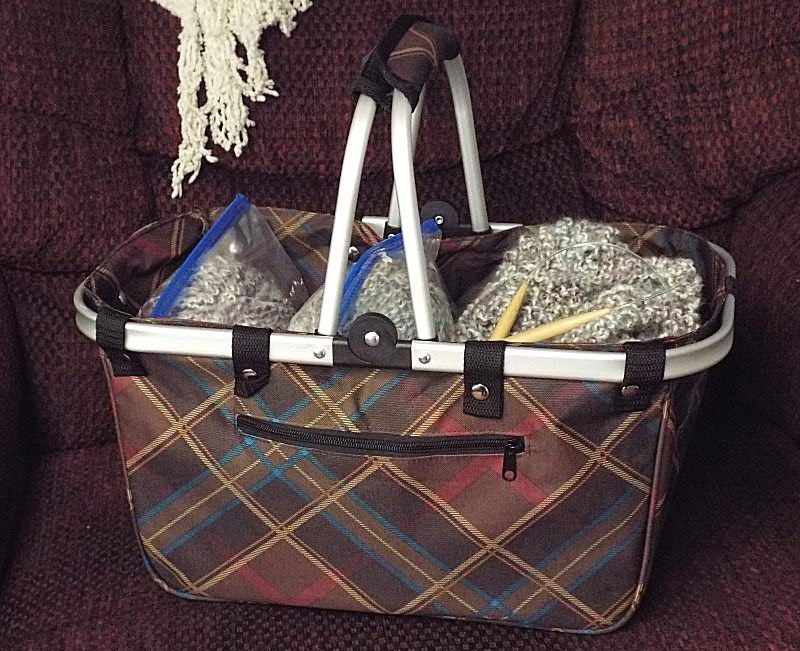 Knitting does keep your hands busy, and it also seems to stimulate your brain. I find I can keep working on my afghan while my mind does a runner. Those little grey cells are (1) keeping track of those stitches on my needles, (2) paying attention to what's happening on the telly-- and figuring out whodunnit-- and (3) putting together stray thoughts that may actually turn into blog posts one day. Yes indeed. Time marches on. Which means I'd better get these links rounded up. Head 'em up! Move 'em out! Can learning to read too young backfire? How a literary-loving family saved a New York City bookstore. Someone else agrees with me about one of my favorite films: Working Girl. I may not like it, but I agreed with Martin Freeman when said more Sherlock would make the show lose a lot of its appeal. Notes and photos of Jacqueline Kennedy Onassis were recently auctioned for $28,400. Manga accounts for 80% of all digital book sales in Japan. The Toronto Public Library would like to buy your books. If you live in Canada, that is-- and some folks have a problem with that. This word-oriented Bookworm is so cool! You can click on any word in President Obama's State of the Union address to see how many presidents have used that word... and which one of them said it most often. Children and YA book sales were up 21.6% in 2014. The lowdown on 2015's biggest mystery conventions. These divers think they've found the "Holy Grail of Great Lakes shipwrecks." The Alfred Jewel comes home to Somerset, England after 300 years. It's gorgeous! A huge cache of Confederate weapons seized by General Sherman may have been found in a South Carolina river. British code breaker Alan Turing's notebook is being sold at auction. X-rays are unlocking the secrets of ancient scrolls that were buried by a volcano. The mystery of Greece's Alexander the Great-era tomb in Amphipolis deepens with the discovery of bodies. How well-intentioned Americans trying to save Monarch butterflies may actually be destroying them. Scientists have finally discovered how sea turtles find their way back home. The careers of our greatest authors. 20 inspiring children's book quotes. 10 fun facts about Winnie the Pooh. 10 British villages with unique (and often rude) names and how they got them. I don't know about you, but I love strange place names and discovering their origins! 50 books guaranteed to make you more interesting. How about a list of the 2015 Edgar Award nominees? Hugh Jackman reading a book. 'nuff said. This graphic of a little girl in a library brings back fond memories. 15 places I'd rather be reading. 10 really terrific reading nooks. If you like looking at photos of personal libraries, put on a bib before checking out this link. You will be drooling! That's all for now. 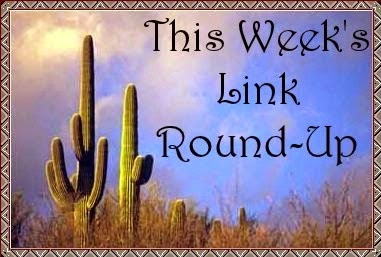 There may not be a link round-up next Friday, but never fear! I'll be back with more freshly selected links for your surfing pleasure soon! Cathy - Years ago I used to do crochet. I was never expert at it but I enjoyed it. I know how relaxing that sort of thing can be. And as for the links? Thanks as ever! Hidden Confederate caches and a sunken wreck? My kinda links! I think you and I must have a pirate in our family trees, Margot! And Happy Birthday tomorrow, Miss Cathy!! Thanks for those birthday wishes, Kay-- and I knew how to read pre-kindergarten, too!